With the dust settling on a thrilling final round of the Rugby Championship that saw two massive come from behind victories from the All Blacks and Wallabies we pick our team of the competition. 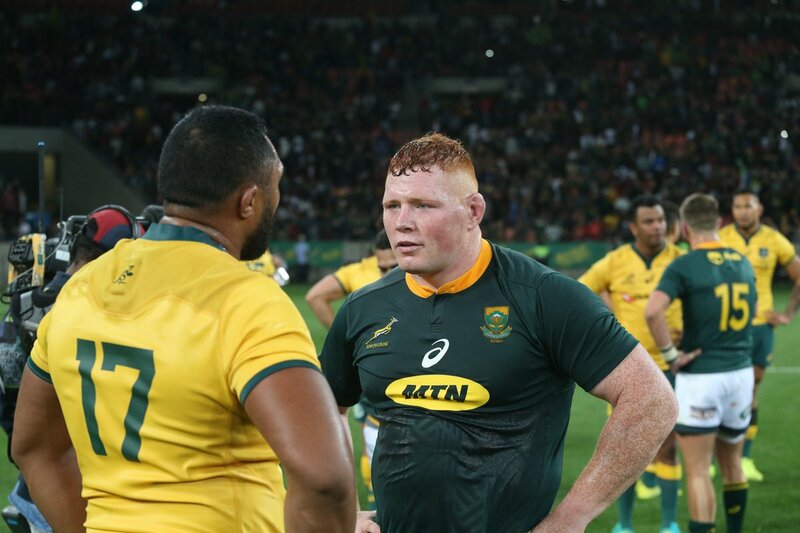 The red-headed front rower made the most of his opportunities throughout the competition and fronted up against Owen Franks in both matches against the All Blacks and was dominant against the Wallabies. Karl Tuinukuafe made a strong push for a place in the side as to did Kitshoff senior Tendai Mtawarira. Taylor wins a three-man race for the no.2 jersey with the Springboks Malcolm Marx and Agustin Creevy coming in second and third place respectively. Marx and Taylor were neck and neck for the no.2 jumper but the All Black edges the Springbok purely on his consistency in all 6 matches of the competition. Taylor's set-piece work was superb throughout the competition and he added a number great passes and a try to his impressive showing. Franks continued to show why is he is regarded as one of the best tightheads in the game with another powerful showing in the Rugby Championship. He beats Frans Malherbe to place in the side, with the Springbok tighthead piecing together a number of fine performances together after a troubled time with injury. 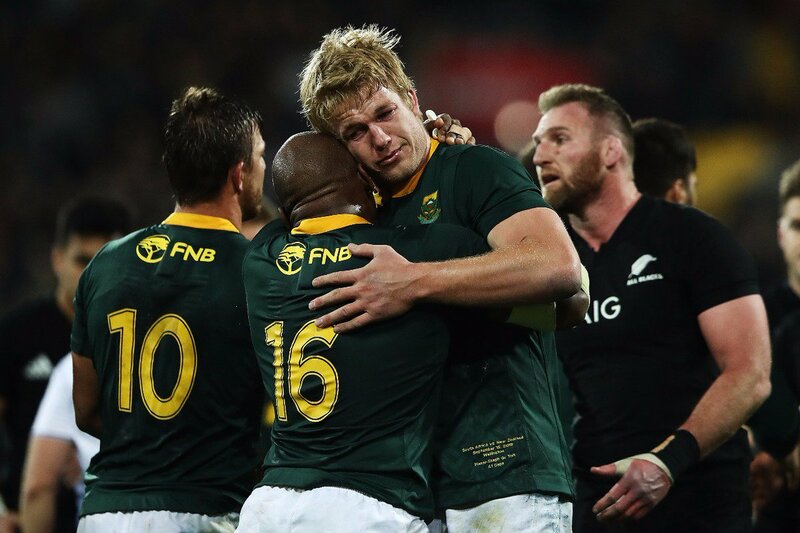 Etzebeth enjoyed a fantastic return to test rugby after missing the June Tests and the entire Super Rugby season. The Springbok second rower was aggressive as ever and featured in the top 15 for carries in the competition. He edges the likes of Tomas Lavanini and Scott Barrett who both starred for their sides throughout. The hard-working lock joins his fellow countryman in the team of the competition after 5 tireless performances. He was everywhere on attack and defence in every single game he featured for the Springboks. If there were an award for player of the tournament, he would be right up there as the top contenders. Sam Whitelock deserves a notable mention for his efforts while Adam Coleman was massive for the Wallabies. Pieter-Steph du Toit certainly silenced his doubters that claimed that he is more suited in the middle of the scrum rather than on the blindside. He did wear the no.7 jersey but the Springboks play on their blindside flanker in that jersey rather than the #6 jersey. Du Toit made 11 tackles more than any other player in the competition and was outstanding against the All Blacks in Wellington. He beats Pablo Matera and Shannon Frizell to a place in the side. The Wallaby flanker was absolutely exceptional during the Rugby Championship following a strong showing against Ireland in June. He made 4 turnovers more than any other player in the competition and only Pieter-Steph du Toit made more tackles than him. The Wallabies form may have been up and down throughout the competition but Pocock was consistently producing standout performances. Springbok captain Siya Kolisi and the All Blacks Sam Cane and Ardie Savea came close to making the side. The All Black captain lead from the front on attack and defence. Read averaged 11 carries per game and made over 50 tackles in 5 games. 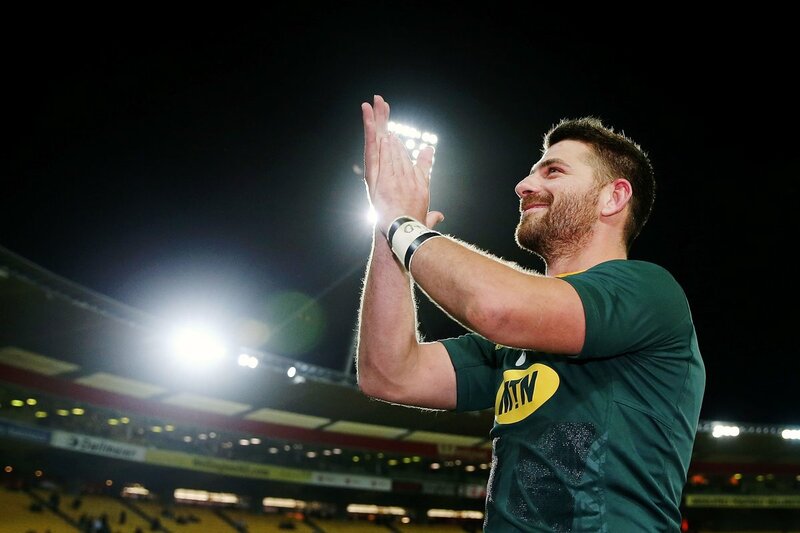 Warren Whiteley was also effective for the Springboks, especially in the victory over the All Blacks in Wellington. De Klerk has been brilliant for the Springboks since his recall ahead of the June Internationals. He was extremely important for the South Africans throughout the competition starting all the games and was telling on defence. The lively halfback sees off the likes of Will Genia and Aaron Smith while TJ Perenara was also superb during the competition. The Pumas playmaker was absolutely sublime for Argentina during this year's competition despite a few hiccups against the All Blacks in Argentina. Sanchez topped the points scoring charts in the competition scoring 67 points in 6 games and sees off Beauden Barrett to a place in the side. He also scored 4 tries in the opening 4 games and showed off his wide range of skills slotting a drop goal. The test rookie beats off Rieko Ioane to a place in the team of the competition following a stellar debut season. He was the joint top try scorer with the All Black flyer and has certainly made a sensational start to his test career since his debut against England. His defence has improved significantly and is certainly going to be a regular in the test side in the future. Beale featured at flyhalf for the Wallabies twice during the competition but was the most influential inside-centre in the competition when playing in his natural position. The Waratahs playmaker is one of the most naturally gifted players around and has a knack for putting his teammates into space. Springbok centre Damian de Allende was solid for his while Jeronimo de Fuente was effective for Los Pumas. Goodhue was simply sublime against the Wallabies in particular and followed that up with a strong showing against Los Pumas. The young centre made 267 running metres, scored two tries and assisted another. Unfortunately for Goodhue he missed the All Blacks final game of the competition against the Springboks. Anton Lienert-Brown was also in fine form for the World Champions while Lukhanyo Am was solid for the Springboks before succumbing to an injury. Reece Hodge also played well for the Wallabies despite outside centre not being his natural position. Folau was one of the Wallabies most dangerous attacking weapons during the competition and was sorely missed in the clashes with the All Blacks. He beat 23 defenders in 4 games - one less than Waisake Naholo who played 5 games for the All Blacks. Folau was brilliant in the air - as per usual - and though he made a costly error in the first test against Argentina he was still extremely influential for the Wallabies. Waisake Naholo is unfortunate not to make the cut, while Cheslin Kolbe's impact on the Springbok side must be noted. Finally, Matias Moroni impressed in a number of positions for Argentina. Le Roux topped the try assist chart in the Premiership last season and did the same in the Rugby Championship this year as he finished joint-high with Beauden Barrett (5). He made a number of incisive runs for the Springboks and was solid overall in defence in all 6 games. Of course, Ben Smith was expectional for the All Blacks while Emiliano Boffelli has filled Joaquin Tuculet's boots superbly. Dane Haylett-Petty completes the list of brilliant fullbacks in the competition this year making the decision even more difficult.